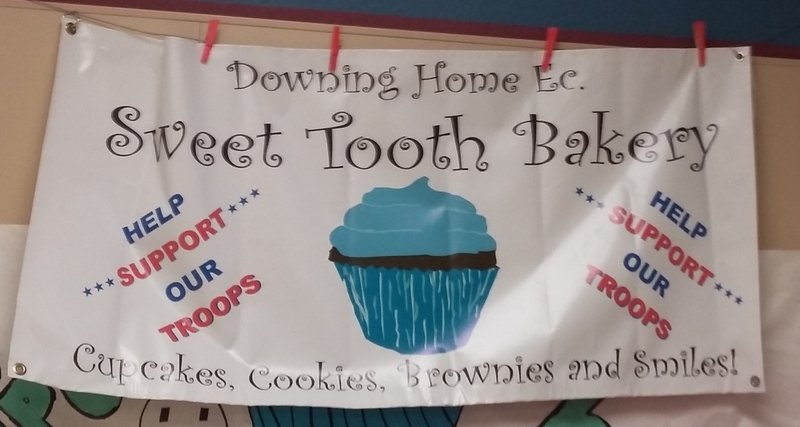 Care Packages for Soldiers: Downing Middle School "Sweet Tooth Bakery" Project Supports the Troops! Downing Middle School "Sweet Tooth Bakery" Project Supports the Troops! Some amazing Downing Middle School (Flower Mound, TX) students completed their Sweet Tooth Bakery project then used the proceeds to buy items for care packages for U.S. military troops serving overseas. The Airborne Angel Cadets of Texas are proud to have received these donations and will make sure these goods reach our Soldiers, Sailors, Airmen and Marines overseas. We appreciate these patriotic, hard working students! The troops will be excited to receive these care package goodies! 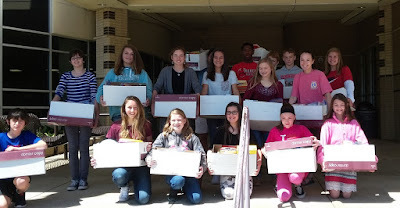 Downing Middle School "Sweet Tooth Bakery"
Boxes of goods donated by students from the Downing Middle School "Sweet Tooth Bakery" Project.